Visio for Mac processes original objects’ fills, lines and text the same way as they are displayed by MS Visio®. All the line arrows and tabulated texts will be also displayed the way they are in Visio®. Text subscript and superscript are processed as well as dimension and state objects. 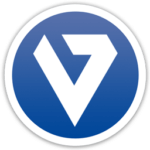 The combination of VSD Viewer for Mac and VSD Viewer for iOS is recommended for distributed teams collaborating in a multiplatform environment, in order to support the extensive communication capabilities. VSD and VSDX Viewer has a stunning set of features that improves basic viewing function. Firstly, it enables layers switching even hidden ones, viewer displays only that layers you choose from the drawings menubar. In the menubar it is also possible to navigate all the document’s pages. Convert your files to PDF for further annotation, printing and sharing, switch on metafiles transparency and extended drawing area if you operate with specific document requiring such features. Shape data is a special array to safe hidden objects’ properties, such arrays are widely used in many various types of professional drawings. 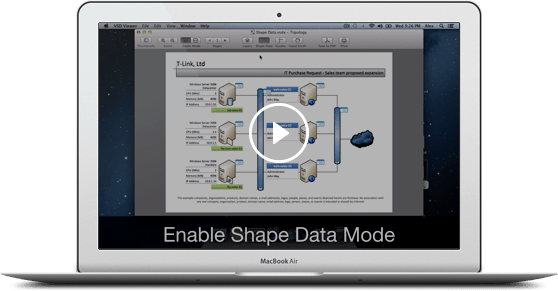 Simply enable “Shape Data Displaying” mode and objects that have those properties will be displayed. Activated objects with shape data (as many at a time as needed) will be shown on PDF-converted and printed documents. Have been using this tool for quite some time now. It always has worked reliably and allowed me to quickly view the Visio® diagrams my colleagues are producing. 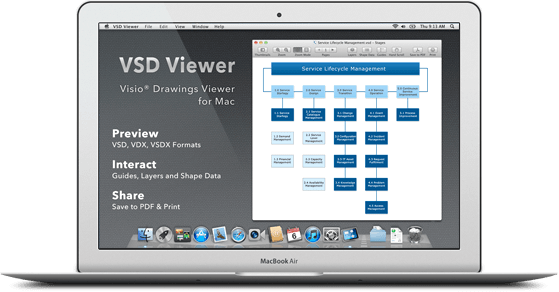 Most Visio® viewers and diagramming apps on Mac are complete junk, but this one is a winner. 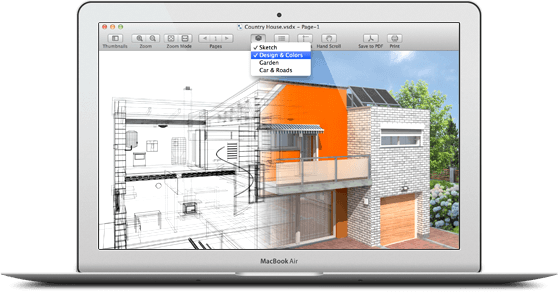 Correctly renders even the most complex Visio® documents and export to PDF. I have this app on all of my Apple devices. Can’t live without it. I also have received great support when a diagram fails to display.